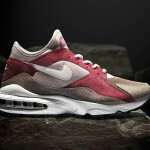 This friday the latest nike collaboration will release exclusively at size?. The size? 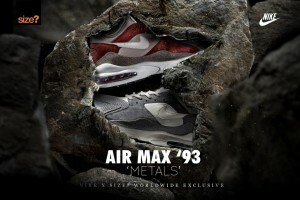 x Nike Air Max ’93 “Metals” Pack will release Friday 5/30 at 3AM EDT. The color ways represent metals ores and rare earths. 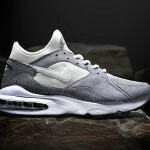 Named Silver and Zinc, they features a suede upper and jacquard mesh toe box. For more details visit the size? x Nike Metals Pack page.